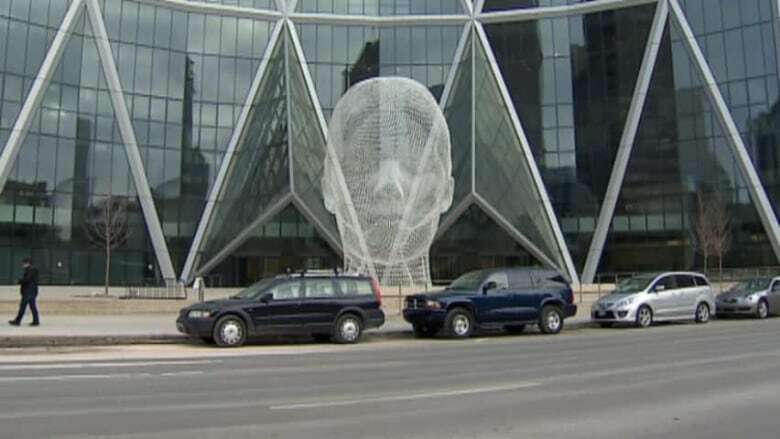 Work on a new public art installation in downtown Calgary is now complete. The boards surrounding a giant female head in front of the Bow Building were taken down this weekend. The 12-metre tall sculpture, called Wonderland, is made of wire. It has two entrances, allowing people to walk around inside it. It was created by Barcelona-based designer Jaume Plensa, whose work is on display around the world. Plensa was also commissioned to do another piece, a bronze cast of the artist embracing a real tree.